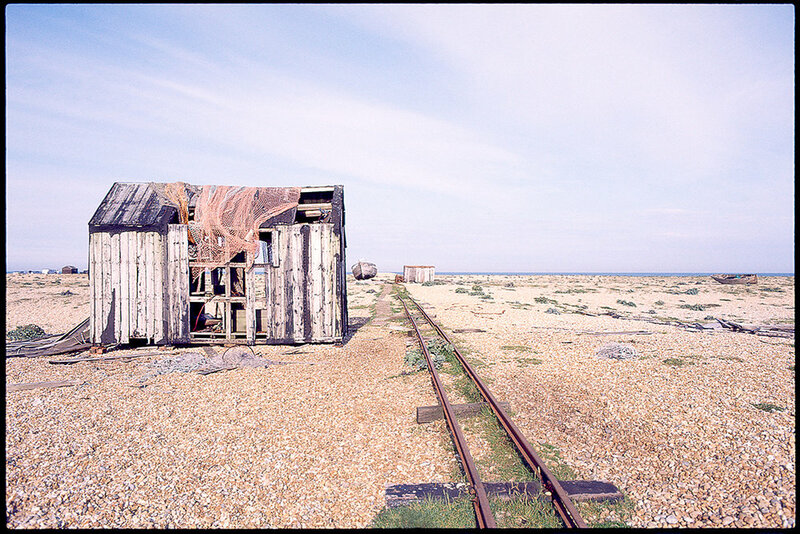 In the far southern corner of Kent lays the headland of Dungeness, home to one of Europe's largest expanses of shingle and an important area of natural conservation. On its wide beaches are small wooden homes some occupied by fishermen, whose boats both functioning and abandoned lay scattered on the beach. Dungeness is a special place with its expansive wild landscape and it's big skies spread clear to the horizon; a view only interrupted, almost surreally, by the imposing concrete of the Dungeness B Nuclear power station. All photographed with CONTAX S2 & Carl Zeiss Distagon T* ƒ2.8 28mm lens on Expired Fujichrome Sensia 200 transparency film.